We appreciate this opportunity to share with you our practice philosophies and vision for Charleston Veterinary Referral Center. We are fortunate to have a cohesive, dedicated and experienced management team to instill in our staff the necessary elements for exemplary patient care and client service. In every case we have two clients: you, our referring veterinarian and colleague, and of course the pet’s owner, who trusted your recommendation. Our goals are to exceed your expectations in clinical and client service and to become a valuable and trusted resource for your practice. As veterinarians, we are fortunate to be in a calling that enables us to fulfill so many important aspects of a meaningful life and career. We can associate with brilliant colleagues. We have a myriad of opportunities to learn and improve ourselves professionally. We can ease and touch the hearts of pet owners in extraordinary and memorable ways. Most profoundly, we can restore the health, stop the suffering and extend the lives of beloved sick and injured animals. Over the last decade, our profession has evolved dramatically. The demand by pet owners for services and care that used to reside solely in universities has grown exponentially. Our capacity as a profession to keep up with that demand is still in short supply. Along with these opportunities and desires of pet owners comes a prime responsibility for the specialty center: we must be committed to educating both pet owners and veterinarians about what possibilities exist. Having repeatedly witnessed the extraordinary outcomes that result from the dedication and expertise of doctors and technicians in these type of settings, it is essential that we share and celebrate those successes with referral veterinarians and pet owners alike. It is also imperative that we, as a referral center, be not only a center of healing but also a center for continuing education. Finally, we believe that great communication with the referring veterinarian and pet owner is crucial. The nature of what we do often creates deep emotion as well as financial impact. So it is through thoughtful, timely, clear and consistent communication with you that we can enable pet owners and referral vets alike to perceive the value of what we do, and to view us as an extension of your practice. Charleston Veterinary Referral Center strives to achieve all of these ideals. We have attracted an extraordinarily-schooled and talented staff of doctors and licensed veterinary technicians. All of us are available and accessible to you. We hope that the services we provide and the hospitality we extend will demonstrate how we feel about pets, pet owners and referring veterinarians. 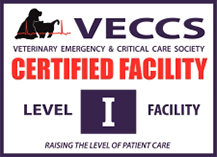 We are grateful to be in Charleston and committed to being a veterinary specialty center of excellence you can count on. We seek to have your clients thank you for referring them here. And we thank you for your confidence and trust.